Every kid deserves to go to camp. 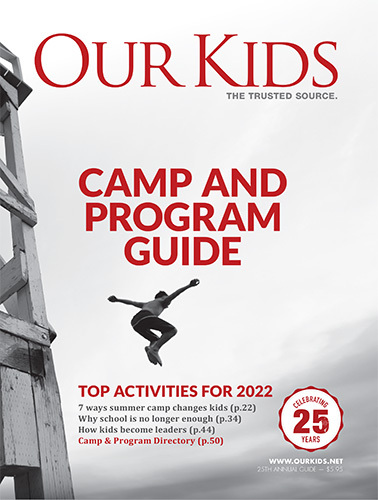 See what www.ourkids.net camps say about the camping experience. From mountain bikes to sailboats to basketballs and volleyballs, it's all at summer camp. This is why www.ourkids.net sports camps are the best choice for athletes of all skill levels. Confidence building in sports and in life. "Sport is the vehicle to becoming a better human being, and having that self-confidence and self-assurance for life." Overnight summer camps create some of the best life-long memories for campers. Even first-time campers avoid homesickness when they're hanging with their new friends at sleep-away camp. Some of the www.ourkids.net camps and campers show you what it's like to be away from their families. at a home away from home. In a city or rural setting, day camps offer a camping experience closer to home, where the campers arrive and leave like a school day, but the entire focus is fun, and more fun. "We focus a lot on their abilities, leaving aside their disabilities. "Every kid, regardless of challenges or special needs, can enjoy and benefit from summer camp. Camps live by this mantra: If it's not safe, don't do it.Parents can be assured that campers' safety is the director's first priority, says Catherine Ross, communications officer with the Canadian Camping Association and former president of the Society of Camp Directors.